Taylor Grayhawk and Brian Flynn are two old flames forced together under perilous circumstances. 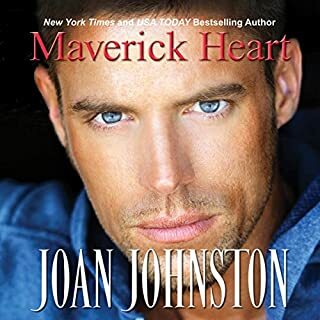 Taylor, a corporate pilot, has been burned by men - including Brian - in the past and has given up on the possibility of any kind of happily ever after. Nine years ago Kate Grayhawk Pendelton walked into Wyatt Shaw’s life and out of it the next morning. Now Wyatt’s back and has the power to shatter Kate’s future with the man she loves. By reputation, Wyatt Shaw is a brutal killer who always gets what he wants. 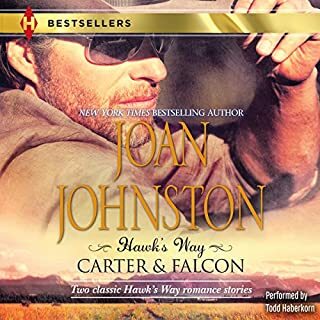 And he wants Kate and her twin eight-year-old sons.Texas Ranger Jack McKinley is hot on Wyatt Shaw’s trail. The presumed heir to the D’Amato crime syndicate is threatening to steal the woman he loves. More than 20 years ago, young Verity Talbot made the ultimate sacrifice to protect the man she loved: She married the brute who'd threatened to kill him. Verity, now the Countess of Rushland, also kept a shattering secret, allowing the son of Miles Broderick, Viscount Linden, to be raised as another man's heir. 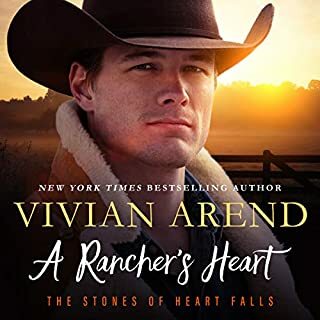 Now a widow, Verity and her grown son, Rand, arrive in the Wyoming Territory to begin a new life - only to face a reckoning. In The Cowboy Takes a Wife, Desiree Parrish has two weeks to find a man to protect her from her abusive ex-husband. In The Unforgiving Bride, from the moment rancher Falcon Whitelaw sees Mara Ainsworth, she's the woman of his dreams - but she belongs to someone else. Then a tragic accident leaves her widowed - and she blames Falcon. Years ago, police chief Travis Kincaid, a former Navy SEAL, learned the hard way that breaking the rules only leads to disaster. Since then, he's followed strict rules to stay focused on his career and keep his heart locked away where it won't cloud his judgment. Too bad the woman he's fallen for was a born rule-breaker. After years of living in fear of her husband, Amanda Banning has left him and moved to Mystic Creek, Oregon, for a fresh start. But she's having a tough time providing for herself and her six-year-old daughter. Writing her secret yearnings on slips of paper and sending them into the wind helps her cling to the hope that things will get better - and that she can find happiness again. Two ranching families, the Blackthornes and the Creeds, are locked in a bitter century-old feud. 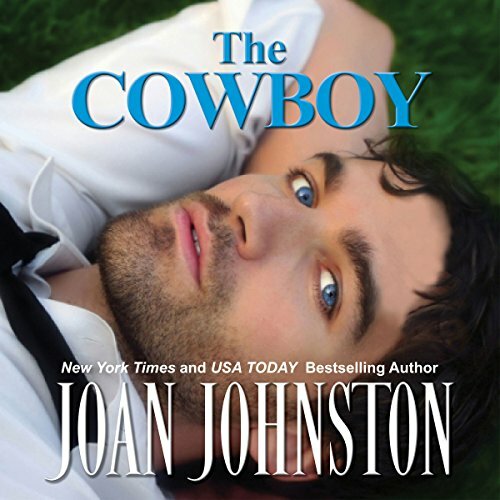 In The Cowboy, Johnston brings to life a breathtaking love story between the Blackthornes' oldest son and the Creeds' beautiful daughter - a magnificent novel of passion, vengeance, and star-crossed love. Trace Blackthorne was taught from the cradle to take what he wanted, and he wanted Callie Creed. Trace has come home after 11 years as a ruthless hard-eyed stranger, making Callie an offer she can't refuse: marry him and save her struggling family from financial ruin. But the secrets of the past return to haunt them. And Callie is once again compelled to make an impossible choice - between the family who desperately needs her and the only man she has ever loved. ©2000 Joan Mertens Johnston, Inc. (P)2017 Joan Mertens Johnston, Inc.
She does a horrible job narrating this book. But the story is good. I'm hooked on them but won't be purchasing anymore audible versions. 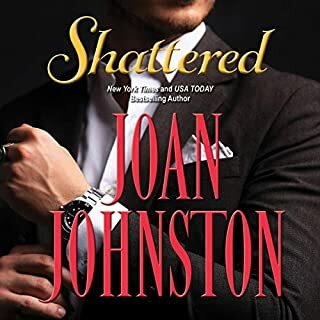 the story is one of my favorites and the reason why I feel in love with Joan Johnston's work. the quality on the other hand was a disaster. it was like it was never edited. you can hear the director in the background counting down and the mistakes in the readings. I love how the author does her own reading. it means a lot to the fans.